We live so much of our lives in fast forward. We rush from home to work and back again, with meeting notices and calendar reminders and text alerts constantly prompting us to move along to the next to-do. Wouldn’t it be nice to hit PAUSE? 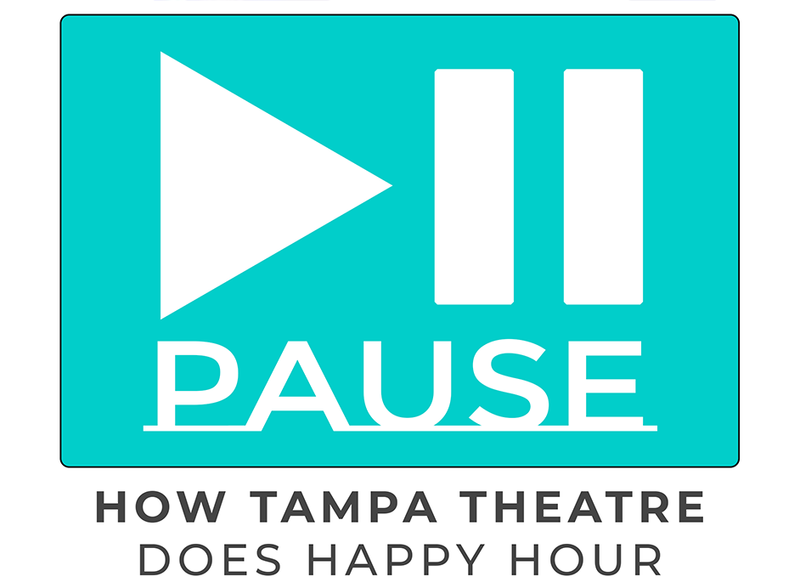 Tampa Theatre is inviting you to do just that: to take a moment out of your day, experience the grandeur of this 1926 movie palace and be reminded of a time before cell phones tethered us to our responsibilities in real time, when it was okay to gather with friends, share a drink, and engage in conversation… when it was okay to PAUSE. ON SELECT WEEKDAYS, the Theatre will open its lobby from 4:30-6:30pm. No ticket is required – just check the dates at right to make sure we’re open and join us under that iconic TAMPA marquee in heart of downtown for drink specials at the bar and $2 off our famous popcorn. And if you’re not familiar with the place, we’ll be happy to show you around! Our neighbors and friends have known for more than nine decades that by stepping through our doors, you are transported to a place outside of the relentless rhythms of contemporary life. So hit PAUSE at Tampa Theatre and linger for a moment under our world-famous starlit sky. And when you step back outside and press “play” on the rest of your life, you just might find the static has cleared and your picture has improved.